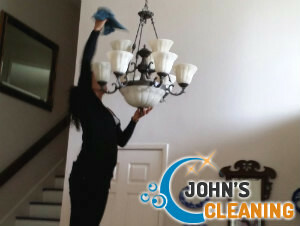 Our company deals with cleaning services. We constantly work hard to improve our service and performance. We try to be as flexible as we can to meet your unique needs. Our cleaning services in Notting Hill W11 are cutting-edge. We operate to a high standard, using one of a kind cleaning equipment and always working with your demands in mind. We are punctual and careful, we take our time and we never compromise on quality. We never rush things. We have what it takes. Don’t forget to give us a try. Don’t you worry, your residence or office will be in safe hands. We will do an outstanding performance every time. We have a list of cleaning services we provide in W11. The most popular choices include our house cleaning service and deep cleaning but we also clean carpets, leather and upholstery furniture, kitchen appliances and windows. Along with that we get asked about end of tenancy cleaning packages a lot. Some of our customers tend to move in and out of lodgings often and we help them get their rented properties immaculate. It also has to be said that we serve commercial clients too. Our office cleaning service is of great help to business owners who want to have a spotless image. We are good at all these services as we have been trained to clean different stuff. We always go the extra mile, no matter if we are cleaning a flat or an office building, no mater if a client has reserved an ongoing service or is using a one off session. We care about our clients and we treat them individually. Plus, we assure you our prices are competitive. We are convinced you will like them. Be sure to make an appointment. Check out our list of cleaning services again and select the one you need. We will have you covered at all times.